An Engineer to supports the Space and Naval Warfare (SPAWAR) Systems Center (SSC) Command and Control (C2) Department and its large-scale Tactical Systems Integration and Interoperability Program that provides Analysis, Test, and Engineering (ATE) technologies and capabilities in its multiple laboratory facilities for Navy Command, Control, Communications, Computers, Intelligence, Surveillance, and Reconnaissance (C4ISR) systems interoperability. The specific task is to provide Joint U.S. programs technical, test, data analysis, integration, experimentation, and Radio Frequency (RF) engineering expertise for Joint Integrated Fires, Joint Test and Evaluation (T&E), and C4ISR Cross-SYSCOM Experimentation. The C4ISR systems include the following: Link 16, Link 11, Link 22, Common Data Link (CDL), Command and Control Processor (C2P), Common Data Link Management System (CDLMS), Air Defense Systems Integrator (ADSI) Joint Range Extension (JRE), JRE Application Protocol (JREAP), Joint Tactical Information Distribution System (JTIDS), Multi-functional Information Distribution System (MIDS), MIDS-Low Volume Terminal & Joint Tactical Radio System (LVT/JTRS), Tactical Targeting Network Technology (TTNT), Multi-Link System Test and Training Tool (MLST3), and Link Monitoring and Management Tool (LMMT); Live, Virtual and Constructive (LVC) systems, such as Next Generation Threat Simulator (NGTS) and System of System (SoS) Architecture Analysis Systems; and new and developmental waveforms. The tasking includes Deployment Group System Integration Test (DGSIT) and related land-based and at-sea test activities and events at various U.S. and foreign test facilities and system familiarization training for the Tactical Data Link (TDL) and LVC systems. The Engineer will support SSC Pacific Code 535 by performing the following engineering activities for the TDL, C4ISR, and LVC systems: Plan and conduct various integration, test, and experimentation events in support of Joint Integrated Fires and C4ISR program milestones; Perform test, data analysis, integration, experimentation, system operation, and RF engineering tasks for various C4ISR, TDL, Multi-TDL, and LVC events conducted in port and underway on ships, in the SSC Pacific Combined Test Bed (CTB), at various U.S. T&E facilities, and in International locations; Provide systems engineering expertise and technical guidance to generate test, data analysis, integration, and experimentation program engineering documents for new C4ISR and TDL capabilities for various Joint Integrated Fires test and engineering meetings, conferences, and technical working groups; Provide engineering expertise to support Super High Frequency (SHF), Extremely High Frequency (EHF), Integrated Waveform (IW), Mobile User Objective System (MUOS), Soldier Radio Waveform (SRW), and TTNT radio integration efforts and to develop detailed SoS Architectures and Architectural Experimentation for Joint Integrated Fires. The Engineer will also 1) Prepare and review technical instructions, engineering plans, technical designs, and other systems integration and T&E related documents; 2) Research, evaluate, and recommend solutions and technologies based on customer needs; and 3) Interface with technical leads, analysts, and the Government customers/stakeholders to gather system and performance requirements and determine optimal testing and experimentation specifications. The work location will be on site at the SSC Pacific Seaside location and some travel may be required. Knowledge: Knowledge and experience with the full system implementation lifecycle – from concept through delivery of next-generation customizable solutions. Have excellent troubleshooting skills and be able to evaluate system fault indications and engineer well-researched, cost-effective, and responsive solutions. Have excellent organizational skills and the ability to perform high quality, detailed work. Have excellent writing and communication skills and be proficient with Microsoft Word and Excel. Experience: Six (6) years of operational and/or engineering experience in Navy C4ISR systems. 4-years of experience in progressively more responsible roles in the management of the research, design, development, test, evaluation, and integration of various Navy communication systems in SSC Pacific or similar lab environments or experience in the operations and management of TDL Systems. 2-years of experience in the management of integration, test, installation, performance checks, inspections, and training of TDL systems at remote sites and international locations. 2-years of combined experience with TDL systems, TDL interoperability, and the C2P family of systems. Experience with systems integration and complex system analysis. Experience gathering and analyzing data to determine system requirements. Experience developing work plans and estimates as they relate to systems integration work tasks and team members. Experience designing and implementing tests to verify proper system operation. 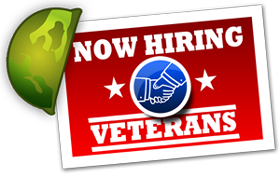 Desired Experience: Five (5) years of demonstrated technical experience with 1) Design, development, integration, test, experimentation, and operation of various C4ISR, TDL, and communications systems, transmission/encryption security devices, and message distribution systems, such as CDLMS, C2P, ADSI, MLST3, JTIDS, MIDS-LVT, MIDS JTRS, JRE, LMMT, and NGTS; 2) Communication Architecture planning and development IAW the DoD standards, procedures, and guidelines; and 3) RF engineering for SHF, EHF, IW, MUOS, CDL, TTNT, SRW, and developmental radio integration efforts. Five (5) years of experience in the following: 1) Operating, integrating, and managing Link 16, Link 11 and Multi-TDL systems, which includes installing TDL systems at local and remote Link 16 sites and analyzing performance measures; 2) Providing technical on the job and operational training; and 3) Developing integration, test, and experimentation plans and procedures, which includes requirements decomposition, procedure review, and NGTS and Simple TDL Generator (STG) script and model analysis. Five (5) years of experience in the following: 1) Engineering, integration, test, and experimentation of developmental and operational C4ISR and Multi-TDL Host and communications systems; 2) Developing integration, test, and experimentation plans and procedures, which includes requirements decomposition, procedure review, and script and model analysis for the following types of C4ISR and TDL systems: Aegis Weapons System (AWS), CDLMS, C2P, ADSI, MLST3, LMMT, JTIDS, MIDS-LVT, and JRE; and 3) NGTS trouble report generation, validation and analysis. Education: Bachelor’s degree in engineering, computer science, mathematics, or physics from an accredited college or university and 5 years of technical experience at the systems-level in DoD projects.